Okay, so what’s the problem with this abstract? 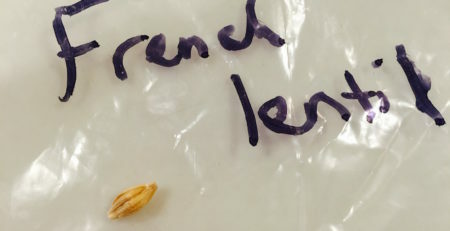 A “gluten found” reading on a Nima Sensor does NOT mean that the pea-size sample placed in the gadget contains a level of gluten at or above 20 ppm. 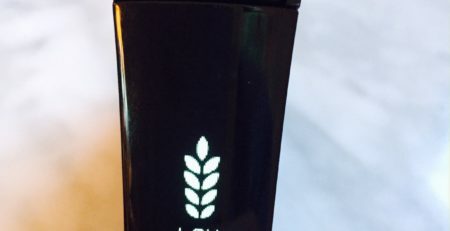 Nima Labs has previously stated that when a sample contains a level of gluten below 2 ppm, the Nima Sensor is reporting gluten found approximately 8% of the time. Based on third party testing data this gadget is reporting gluten found approximately 35% of the time when the level of gluten is 5 ppm and approximately 56% of the time when the level of gluten is 10 ppm (Note: from a practical standpoint this means that if a sample contains a gluten level of 10 ppm there is about a 50:50 chance of getting either a smiley face result OR a gluten found result). There are serious concerns about gluten cross contact in restaurant settings. Cross contact must be evaluated using scientifically validated methods. 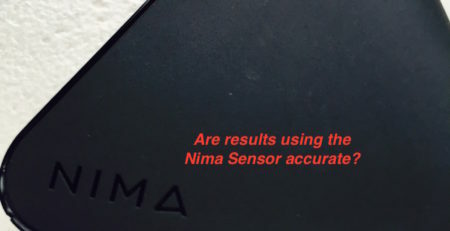 Using the unvalidated Nima Sensor in a “scientific” study as the basis for determining whether a restaurant is accurately stating a food to be gluten-free is irresponsible. Excellent! I was waiting to hear your thoughts on this. Thanks! Thanks, Al. I’m sure you saw GIG’s response as well? I appreciate your going over this again. But what’s the solution? Can you post about approved / better devices and why those are better? I’m getting lost in the minutiae. First, it’s too sensitive, then the sample size is too small (pea sized), so it might miss it. I don’t consider “too sensitive” to be a problem for me. If it detects above 5ppm, I think that’s a good feature. 20ppm was an agreement reached after debate, iirc, and GIG’s standard for certification is 10ppm, NCA’s cert is below 5 ppm…. 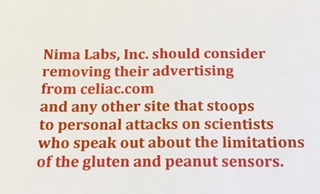 etc https://celiacsavvy.com/celiac-disease-gluten-free/gluten-free-labeling-certification/ I do consider it to be a problem if it doesn’t have a good way to tell if something has CC. Can you elaborate on the reason why too much sensitivity is bad? 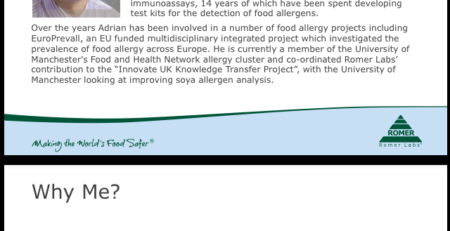 Pertaining to this particular research abstract, the authors (and many others) appear to be under the impression that a “gluten found” result using a Nima Sensor means that the sample contains a level of gluten at/above 20 ppm. This is simply not true. There is also the issue of false positives which GIG elaborates on in their statement. In terms of cross contact, think about a plate of food. 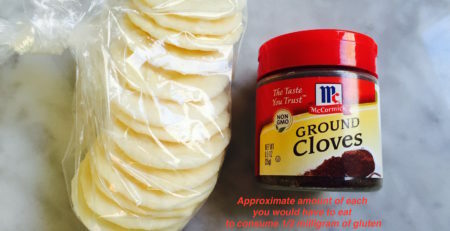 Gluten present in a food item due to cross contact will not be evenly spread throughout the product. Cross contact is spotty by nature. Whether a restaurant patron is lucky enough to choose the pea size sample that just happens to contain gluten is slim too none. 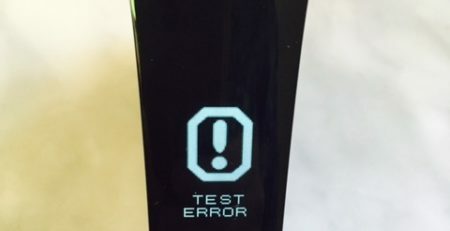 The reason you and many others are confused is that there are many issues with the Nima Sensor–it is too sensitive and not sensitive enough at the same time. Testing for gluten in food is not any easy process. Thanks, that’s very helpful. There’s also the issue of “hydrolyzed” gluten, but I’m unclear on whether all fermented foods have hydrolyzed proteins (including, if present, gluten), or if it’s a specific process that only brewers go through. In that case, I didn’t think anything could tell you accurately if there is any gluten. And since breads now are more often fermented, even gluten free ones, that makes any test a particular problem for bread. Do you know if someone has a list of the foods that are a particular problem for the Nima to test properly? And what’s the solution? 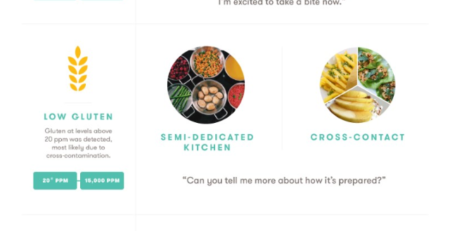 Should I order food from a restaurant and then send it to a lab for testing? I feel like I don’t have any practical tools and that’s why Nima and similar devices seem so very helpful. Is there another device that’s better for CC detection, etc? When it comes to detecting hydrolyzed gluten (gluten that has been broken down via fermentation or hydrolysis) a competitive ELISA should be used (versus a sandwich ELISA). Here is a video and slides (please look at the slides while you are listening to the video) https://www.glutenfreewatchdog.org/news/fnce-presentation-testing-food-hydrolyzed-gluten-difficult/.